Radley "Witley Faux Zebra" Black Leather Grab Bag Large Open Top - RRP £239. Inside Pockets - 1 zipped, 1 slip and 1 phone plus the Radley leather emblem. CLARET / RED CLARET COLOUR CANVAS WITH LEAVES & RADLEY DOG PRINT. RADLEY Dog Jumping About Among the Leaves. Shoulder Length Canvas Handles - Red Claret Colour. GENUINE RADLEYLONDON"LINEAR DOG" DESIGN. GENUINE RADLEY LONDON. Interior has a Zipped Pocket for Security with RADLEY LONDON Print. 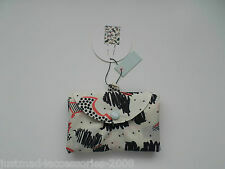 RADLEY LONDON Print on Reverse of the Bag. Natural Canvas Colour Background with "BOTANICAL" Design. "BOTANICAL" DESIGN. 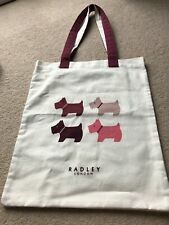 I have other Radley bags available. The back of the bag is plain cream with just a dark red Radley London logo tab (see photo 3). There is a small zipped pocket to the inside back of the bag. STONE COLOUR BACKGROUND WITH VIVID ELECTRIC YELLOW PRINT OF APPLES & PEARS WITH RADLEY DOGS. GENUINE RADLEY LONDON. 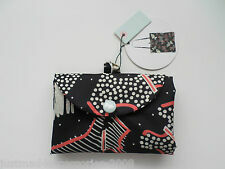 Great Foldaway Design - Allows the Bag to be Carried in its Own Matching Pouch which could then Double Up as a Purse / Pouch etc. 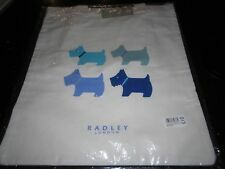 Eye-Catching Outline Print of Much Loved RADLEY Dog with "DNA" Print Within in Blue - RADLEY's Collar & Eye in Yellow. GENUINE RADLEY LONDON. 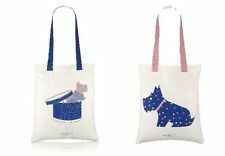 NATURAL ECRU COLOUR CANVAS WITH RADLEY DOG & DNA PRINT. Interior has a Zipped Pocket for Security with RADLEY LONDON Print. 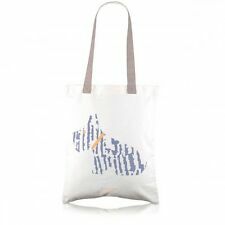 Radley Plain Sailing Canvas Tote Bag new With Tag. Condition is New with tags. Dispatched with Royal Mail 2nd Class. 2 x Radley 'Plane Sailing' Book bags. 1 x Ivory canvas bag with pink handles and a Radley design on the front. 1 x Ivory canvas bag with beige handles and 'It's all plane Sailing on the front'. Open top and 2 handles just long enough to wear over the shoulder. Radley is sitting on a swing, hanging from a rainbow. GENUINE RADLEY LONDON. 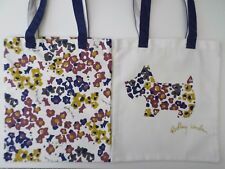 NATURAL ECRU COLOUR CANVAS WITH RADLEY DOG & LOVE PRINT. Natural Canvas Colour Background with "LOVE" Design on the Front - Eye-Catching Large Printed Design of Much Loved Iconic RADLEY Dog & the Word: Love. Pink colour Radley Dog. Internal zipped pocket. CLARET / WINE RED COLOUR CANVAS WITH LEAVES & RADLEY DOG PRINT. GENUINE RADLEY LONDON. RADLEY Dog Jumping About Among the Leaves. Shoulder Length Canvas Handles - Claret & Natural Colour. GENUINE RADLEY LONDON. Interior has a Zipped Pocket for Security with RADLEY LONDON Print. Matching RADLEY Letters Print on the Reverse of the Bag. "SPELL CHECK" DESIGN. Print in Colours of - Teal / Navy / Lilac / Dark Orange. Radley 'Plane Sailing' Book bag. Ivory canvas bag with pink handles and a Radley design on the front. Open top and 2 handles just long enough to wear over the shoulder. Zip top pocket inside.